Get the fix on broken bones! Many of us have experienced a fall or injury, followed by the dreaded (I don’t want to look)… is it broken? 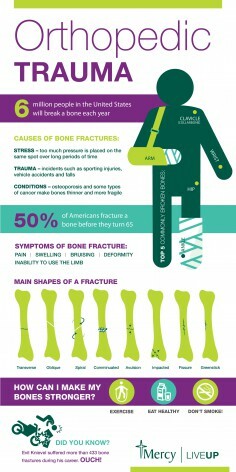 Broken bones are more common than you think. In fact, over half of us will experience a broken bone before we retire. Download the orthopedic trauma infographic and learn more about the common causes, symptoms and types of fractures. We hope you don’t experience any breaks this summer, but it never hurts to be prepared – get the facts! 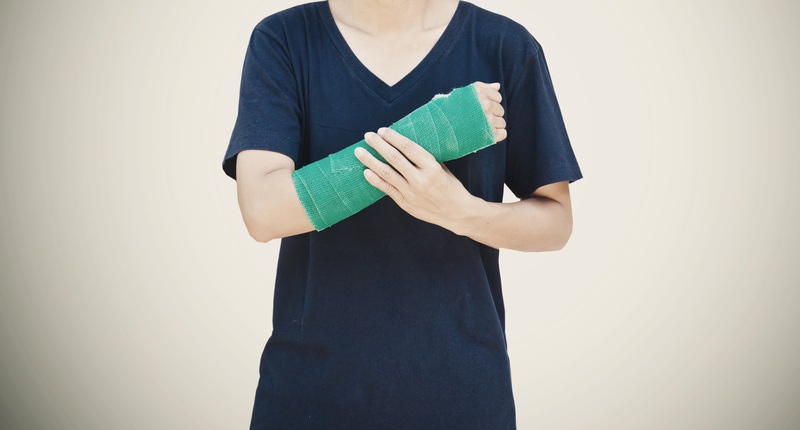 Should you or someone in your family experience a broken bone, choose the Mercy Emergency team. Mercy has the area’s only round-the-clock orthopedic trauma surgeons. Working with children and adults, these experts are available 24/7 to repair bones and provide follow-up care as you heal. To learn more, visit mercy.dm/orthotrauma. Melanoma Detection: A Doctor or Smart Phone?